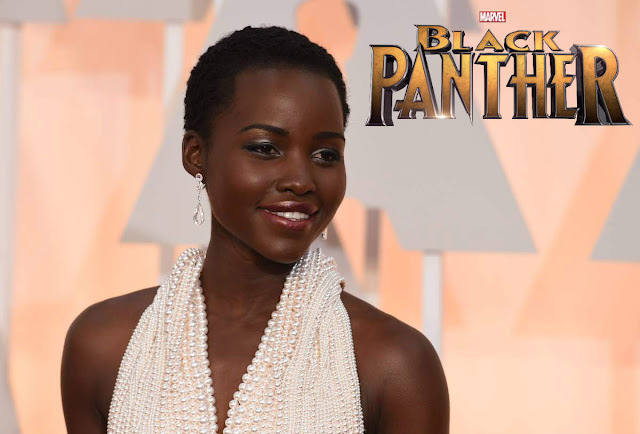 Lupita Nyong'o Might Be Joining Marvel's 'Black Panther' But As Which Love Interest? The Hollywood Reporter says Nyong'o is being sought to appear as the love interest to Chadwick Boseman's T'Challa, the warrior king of the fictional African nation of Wakanda, whose alter ego is the Black Panther. Boseman introduced the character in Captain America: Civil War which has quickly racked up over $700 million in box office receipts worldwide in under two weeks of release. The film is being directed and written by Creed helmer Ryan Coogler with production planned to begin in early 2017 for a 2018 release. Plot details haven't been shared so it's unclear exactly which love interest Nyong'o would play. T'Challa doesn't have a long list of love interests of any significance except for the woman he would eventually marry. That woman is none other than the X-Men Storm aka Ororo Munroe. Unfortunately, rights to her character belong to Fox and with the upcoming X-Men: Apocalypse film about to debut with a young Storm played by Alexandra Shipp the studio may not be in any hurry to give her up. Other possibilities include the American professional singer Monica Lynne, the Wakandan trade ambassador to Paris Malaika, or like Nakia from the Civil War film, Nyong'o could play bodyguard Chanté Giovanni Brown aka Queen Divine Justice. QDJ was the daughter of a rival chieftain whose tribe was exiled by T'Challa. She was raised in Chicago but when her safety was at stake she was recruited into the Dora Milaje, the bodyguards to the king of Wakanda, and later her tribe was reinstated by T'Challa allowing her to become their Queen. There's been no official confirmation from Marvel/Disney about these "talks" with Nyong'o just yet. She's attached to star in the sci-fi drama Intelligent Life which just lost director Ava DuVernay and she's nominated for a Tony Award for her role in Eclipsed.